Congrats! You’re finally starting your search for the perfect vehicle that’ll complement your busy schedule near Wilsonville, Woodburn, and Sherwood. To make your car-buying journey even easier, the team of dedicated professionals at Wilsonville Chrysler Dodge Jeep Ram is here with this collection of convenient Ram research articles. On this page, you’ll dive into a library of Ram reviews, comparisons, trim level guides, and more. Thanks to these resources, you’ll be one step closer to snagging the Ram model that’s perfectly suited to your lifestyle. Let’s check out everything our team has to offer! Every inch of your vehicle should be customized to your unique way of life and personal preferences. That way, you’ll begin every journey inside a car that helps you feel as confident and comfortable as possible. Fortunately, ensuring that your new, used, or certified pre-owned fits your needs is as simple as doing some research. Well, within each of our Ram model research articles, you’ll find out more about the key specifications of each model in our lineup. Not only do these details assist you in getting for familiar with the models included in the Ram inventory, but they also offer insights into the vehicle that’s best for your needs. So, if you happen to be searching for a potent pickup that’s capable of hauling hefty cargo, our Ram reviews and comparisons can provide you with that answer. Why Is Ram Model Research Important? There’s nothing better than arriving at your local dealership as a fully informed buyer. Well, that’s part of the reason why our Ram model research pages are so important. 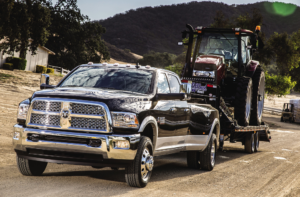 As your one-stop shop for all the information you need to choose your Ram automobile, these handy articles come packed with details that make your shopping experience more efficient. 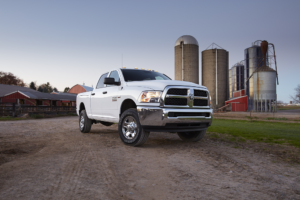 By laying out the key specifications of each Ram model in an easily digestible way, these reviews and comparisons help you remember the most crucial aspects of our vehicles. Plus, all of our resources can be easily accessed online, which means that you’re free to learn more about the Ram family from the comfort of your own home. As a result, you’ll spend less time browsing the showroom in search of your perfect truck and more time enjoying life behind the wheel of a powerful, reliable automobile. 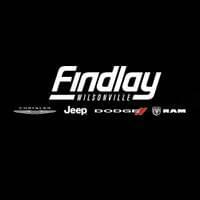 At Wilsonville CDJR, we believe the best time to start your Ram research is right now. Thanks to the reviews and comparisons found of this page, you’ll be ready to visit our showroom and face down your next journey near Wilsonville, Woodburn, and Sherwood at the helm of a tough Ram truck. So, if you’re ready to get started, all you have to do is click on one of the links on this page. From there, feel free to reach out to the friendly representatives at our dealership or schedule your test drive today!